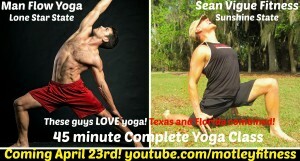 Home \ 45 minute EPIC Yoga Class w/ Man Flow Yoga and Sean Vigue Fitness! Yoga and Men – UNITE! Boom! Here’s 45 minute of Yoga featuring Dean Pohlman from Man Flow Yoga and, well, me! 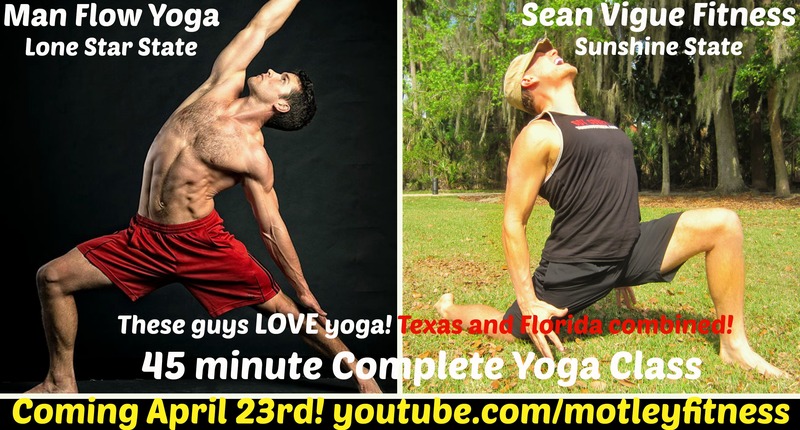 It’s The Lone Star State and The Sunshine State in an epic asana duel in the great outdoors. Make sure you LIKE and Share the video with your friends and family. Also, if you love longer workouts you’ll want to do this. PS – Stay tuned for how you can pre-order my premier fitness book! Awesome! I love to do long workouts as I am a yoga teacher & I love to practice yoga for a long time. I also run yoga classes, it’s my passion.